Amazing! A veritable miche marathon! So, Shiao-Ping, how would you summarize what you learned from this formidable endeavor? A formidable endeavour? It's really just time and patience; that's all. I am a housewife now. I often wonder what differences there are between our home kitchens and the artisan bakery production area. I am not talking about what equipment they use, compared to what we use, or what beautiful retarder-proofer they have versus what we have (our refrigerator), etc. I am talking about something like "Terroir" in wine. 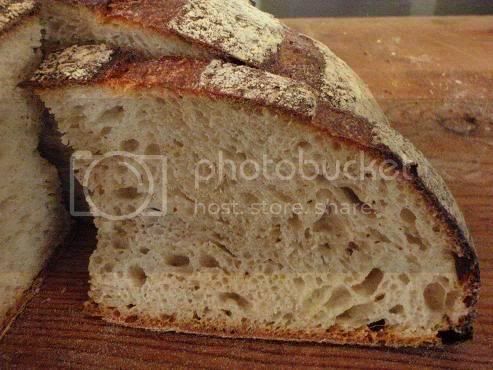 When I was at SFBI last August, in the second week at the Artisan II course, we made a starter from scratch and within 48 hours the flour/water mixture was bubbling. (See my SFBI post here.) There was no way I could get that if I were to start a new culture at home. The miche I made using that starter was amazing. 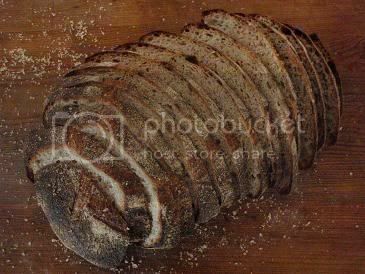 To this day I still couldn't replicate that miche at home. There is something very different to our home environment in that SFBI production area (they call it the lab, which is where students have classes). I tell you it is flour everywhere in that place, invisible to our eyes. Things seem to happen faster and easier in that place. I may be talking gibberish. It may be just the instructor's guiding hand. Anyway, without getting my kitchen buried in flour, I often wonder how it is possible to have the same "terroir" in my kitchen as in a bakery production area. I am generally a tidy person and I feel uneasy if my kitchen is a mess because my kitchen is also an area where my family breathe. When I read about Poilane's process, I said to myself, "Ah-hah! (or my son would say, Eureka!) That is something I could do!" Of course, I didn't leave flour everywhere in my kitchen, I cleaned up every step along the way; but when you do a process like that, there is something quite auspicious happening about your bread - you WILL get some good bread coming along. Have been waiting for your Poilâne post, Shiao-Ping - and I think it can be confidently asserted that you've delivered in full! Interested in your response to David's question. There's a lot to digest from your post. If you are serious bout trying, you might want to halve the formula. It's fine for us because we are a growing family plus a dog (plus a very large GE fridge). And thank you for waiting; actually my real Poilâne post is one with T80. Let us know how you go if you do try. What a trooper well done Shiao-ping, I feel tired just thinking of the work that you put in. And such a great write up too. My hat is off to you.very well done. I have something for you but I am not going to tell you what it is yet. What excitement i can hardly wait, TOFU PERHAPS? ... meat pie! An Aussie meat pie! Sorry, I hate surprises and I didn't mean to keep you in suspense. My husband gave me a surprise Chinese New Year's dinner. It was really nice but I had to tell him afterwards not to ever give my parents surprise party like that. Chinese don't appreciate surprise party, surprise visit, or surprise anything. The meat pie will be in my next post. Come to think of it, you or your wife probably make better meat pies than I ever could. I bought a great Aussie cookbook the other day (have you heard of the famous Bourke Street Bakery in Surry Hills, Sydney? ), and there is this beautiful humble beef pie recipe that I thought I would try. And for some reason I thought of you. p.s. You know what? I think it is because of all that beer talk you had with Andy. You have been making Coopers Stout, right? I kept the name. Beer and pie, aren't they a great combo?! Meat pie , i have always wanted to make a good meat pie , and yes there is a guiness pie that a number of places do here it is quite a nice pie too.My daughter is quite a good pie maker. i look forward to your post and THE YOZZA PIE, has rather a nice ring to it. Or you are coming to WA and we are going to bake bread together, NOW I AM GETTING OVER EXCITED. Your patients and hard work is something to look up too Shiao-Ping. 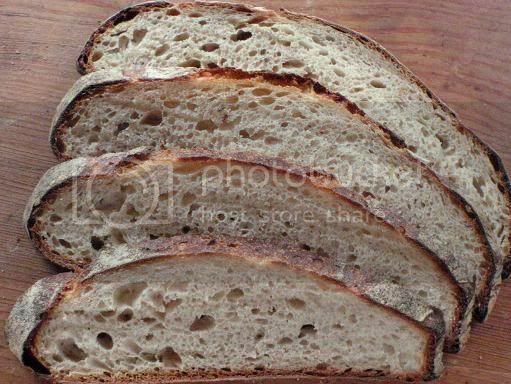 The method of saving a peice of dough from the bread to use for the next loaf is something I learned about while at Zingerman's and must say after reading your right up made me understand it a bit more as well thanks to the pictures of each loaf. 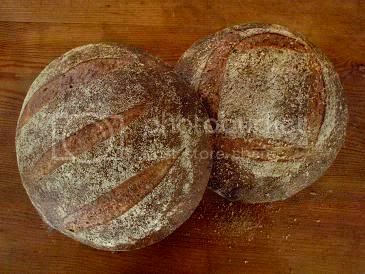 We were told to make a firm 50% starter, refresh often, then when ready make and run through the hoops with our farm bread until the final fermentation where right before we shaped the loaves, save a cup of dough to use for the next loaf. We continually repeat the cycle, using the chef in the next loaves, chopping off a peice again and ended up with some amazing bread, especially by the end of the month. Your experience at Zingerman sounds really lovely to me. This post is sooooooo great! Thank you! I am pretty much obsessed with this topic. 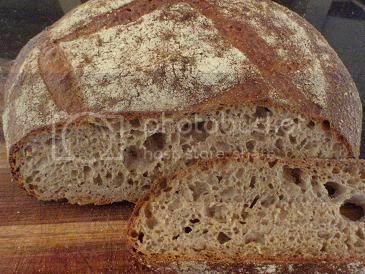 I have been making a Poilane style miche every weekend for the past couple of months and I continue to tweak everything, especially the flour types/brands and blends and siftings (I think that is a new work I made up). A question: I am wondering how you arrived at your flour blends? 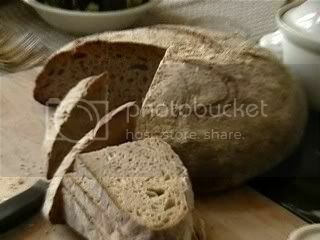 Is it true that in the actual Poilane recipe is a blend of 30% spelt and 70% sifted whole wheat flour? Poilane uses T80 flour, full stop. And they don't just use one miller; they get their supply from many millers. Look at the two pictures for true Miche Poilane and see how light the color is. Hey, your bran muffins look great! I am so going to try them. Thanks for your link. I look at the brans every day and was even thinking of using them as breadcrumbs, but your idea is much better. 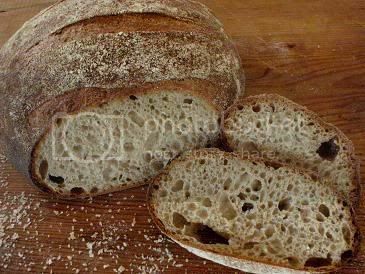 If you are really interested in Poilne miche, why not order one on-line and try the real thing? You can be the judge of what people say is true or not to youself. Maybe YOU make better miche for youself than Poilane! It is so much fun reading your posts! While there is no prefect loaf for everyone, there is the perfect loaf for the individual. 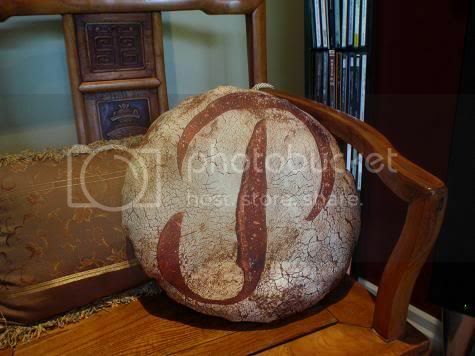 Visually your loaf #7 is my perfect loaf. The hole size, color of the crust, color of the crumb just perfect. #7 is also my favourite. What do you think spelt contributes to the flavor of the miche? 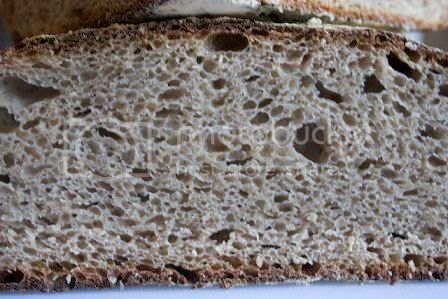 I've tried using spelt (abt 20%) in pain au levain and was not keen on it. Your life sounds so wonderful, Shiao-Ping. I wish my mornings included trips to a nearby bakery for a cup of coffee and a baguette. Maybe some day. I am not keen on Spelt either. I think wheat tastes better. 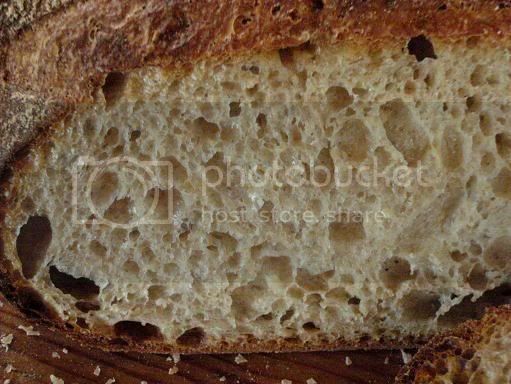 To me, spelt has a non descriptive bland taste; some people say it is a bitter taste and add honey to the dough (up to 8% bakers percentage) to soften the bitterness. But I still don't like it. I think for Spelt to taste good, hydration is the key, and I think a delayed fermentation method using icy water may help improve the flavour too (but I haven't tried that). I prefer to have coffee at home. I can only do coffee shop coffee every now and then, not too frequently, I mean. Wow Shiao-Ping. What can I say? That's an amazing undertaking with some fascinating (and beautiful) results. Nice work! Have you been baking much lately? Your last post of Semolina bread was beautiful. Gosh that semolina bread was a while ago wasn't it? :) I haven't been slacking - honest! Been baking a lot recently, but of the cheesy, flat bread variety :P (Pizza). It's been an ongoing project since about may of last year. I'm amazed what I've learned from sticking at it though. 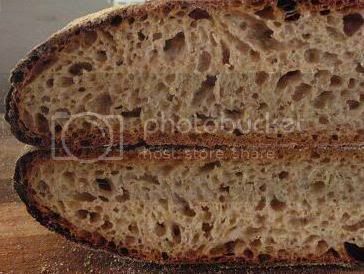 Between the Rubaud levain, and the starter issues I had at the end of last year, it's really made me go back to basics and re-examine everything I *thought* I 'knew'. A little accident with the oven in a hamfisted attempt to implement the 'lava rock' steaming method has postponed activity until I get some replacement glass (I'm just thankful I wasn't crouching a foot lower or I'd most certainly be blind at this point!). Thank goodness there was no major injury. I get small cuts and burns all the time. I had nightmare seeing knives sometimes. Hey, I see that you had been active in the LAB, starter, and yeast discussions. It is really good to get solid understanding of these things. By the way, foolishpoolish, someone should give you an award for having a name like that. your dedication to baking is an inspiration to me... you reside in a thrid niche, somewhere between that of the amateur and the professional baker. 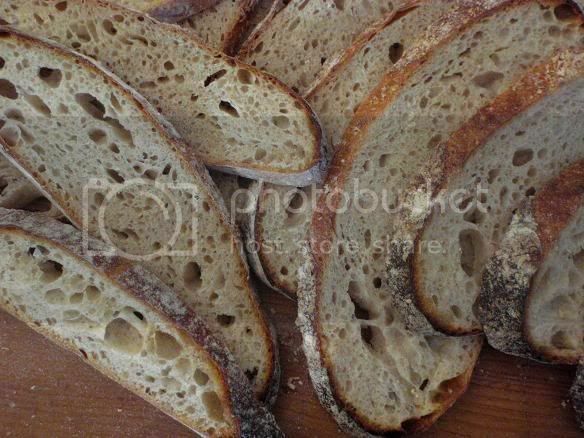 Have you been baking much since your Marmite Pain au Levain? Where did the name Marmite come from? I have been busy over the past couple of months, so I have made time to bake frequently but not to blog about it. It's actually funny that you ask, I am as we speak sat in the kitchen, mid-way making the final dough for the Gerard Rubaud Miche recipe that you so kindly posted. I will be sure to make a blog entry to let you know how it works out. I live in Philadelphia, however I am originally from England, so I tend to buy marmite in bulk and ship it back with me any time I go home to see the family. Is marmite popular in Australia, or is vegemite king? heard of marmite before, not until people on TFL mentioned about it. Is marmite popular in Australia? Well, I had to ask my daughter about it. She said yeah she knows what it is but it is not popular among her friends. I asked my son and he said he knows what it is because he once had it at his granddad's place, but he didn't like it. Bread good enough for a Tartine! 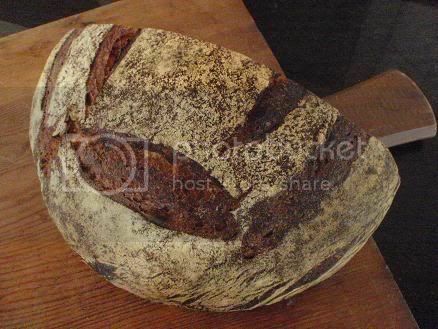 Fabulous, reminds me of my own search for Poilane and that defining loaf, le miche! I had the good fortune of trying Poilane the the two times I visited Paris and they even let me down to the cellar where they still bake for the shop. Your specimens are a perfect resting place for anything good, saucisson, salmon, foie gras, a real tartine! Great work as always, happy baking! The bread was certainly excellent, although amongst my friends it received mixed reviews. Even though the late Lionel Poilâne felt the bread reached its peak of flavor three days after baking, I think it would have been better the same day. How did you find their miche when you tried it in Paris? Funny thing Shiao-Ping was that I never had the Poilane directly from the bakery in France! I tasted one a classmate brought back from Paris in our bread baking class in NY. We were sort of unimpressed actually, maybe the voyage didn't make for the freshest specimen? 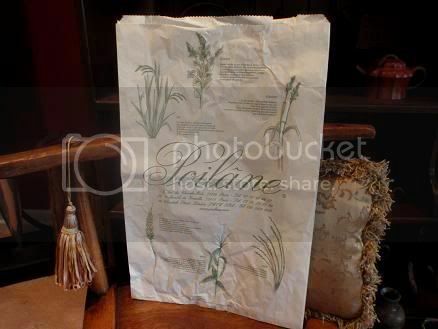 Still their boutique shop is a sort of place that can inspire, I recall by chance happening on the Rue Cherche Midi, the Miche's were the first thing that caught my eye! What I tried were there cookies, and I kick myself for not having bought a loaf for myself but brought one back for my sister who was living in England at the time. The last trip to Paris I hit virtually all the most well known Boulangeries, had some samples but most was just to enjoy the eye candy and admire the different crusts, strange I really should get a tour of fanatic bakers together just to eat our way through the bakeries of Paris??? I 2nd the vote for you to write a book. The miche looks wonderful. I hope to make one in the near future if I don't get distracted by something else first. I told my daughter about what you said and about how I was going to reply. She says, "Mum, that is so BS" (about my reply, pardon my language). "Take it from Denny Crane" she says. My husband and I often jokingly say that our daughter cannot tell a lie (and our son cannot tell a truth). So, I am just going to say, thank you for your comment. In a way, your Exploring Bread is kind of a continuous process, isn't it? Firstly, this is a wonderful post full of inspirational ideas and techniques for everyone to learn from. I was really interested in the use of a portion of the previous dough. This is a common technique, but I was amazed that the dough was only left a couple of hours. Given the old dough includes full salt, that is an very short period of time. 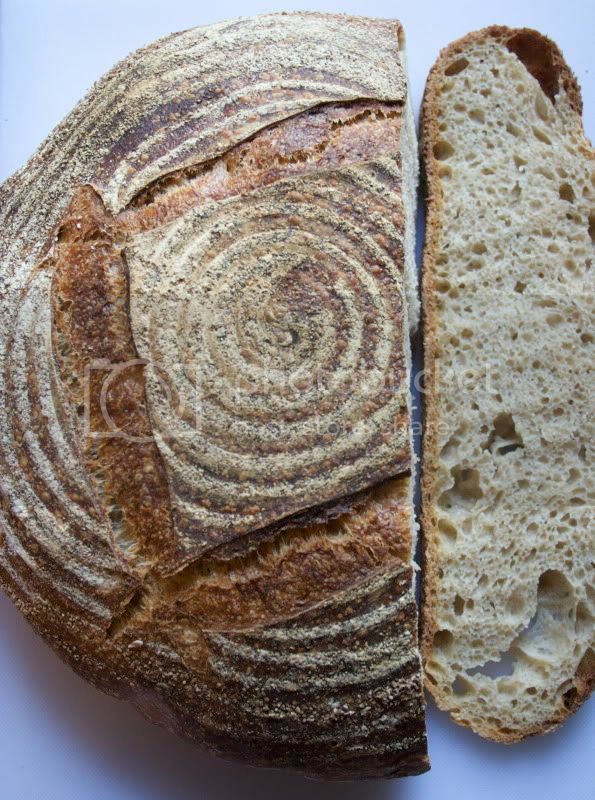 This was why we always used a levain system at Village Bakery to make Pain de Campagne. The system was still pretty continuous, as we made 3 batches of dough over 8 hour cycles, daily. But the levain was a separate entity, made without salt. 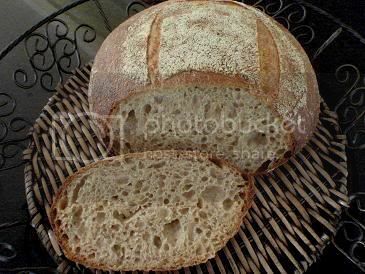 Sufficient leaven was made to give a portion leftover to make the next batch of leaven with. The leaven used in the dough generally fermented for 3-4 hours, before using to mix the final dough. The remaining leaven portion would then be allowed to continue to ferment slowy in the chiller for 4-5 hours to reach the 8 hours. At that point it would be used to make the next batch of leaven, and so on. But the French Leaven we used was always salt free to keep a vigorous level of fermentation going. I, too, thought two hours was really short for a levain to get ripen. But apparently the temperature at their production area (the cellar) is quite warm because of the wood fire oven. The main dough gets a lot longer fermentation time, from start to finish baking, about 6 hours. Even that is not all that long. And, honestly, I have been wondering if that is the reason why Miche Poilane is "unimpressive" to some tasters. You may laugh if I tell you I grew up believing there was always a secret ingredient to make a dish delicious. Last August, I visited a secondhand and rare cookbook store in San Francisco and bought a novel at a friend's recommendation - The Last Chinese Chef, by Lost in Translation author, Nicole Mones. I was never interested in reading stories of fictitious people but that was one very good novel. The point about "a secret ingredient" is there in the book. However, we all know that there is no such thing as a secret ingredient in artisan bread. All ingredients are transparent. What, then, makes a great bread? Doing this post had me realize that the "process" is an important thing. 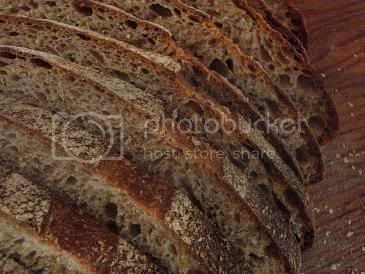 Some people may say that the choice of flour is important (hence, the debate of French flours vs. other flours, the debate of T80 vs. flours of other ash contents, etc.). I would say that fermentation (and therefore the question of time and temperature control for consistent result) is one key element in great bread making. There is no substitute for a good old slow and long fermentation for flavour to build up. Flavour is just not something that can be rushed (when the beginning is so humble). I disagree about there not being a secret ingredient in artisan bread. There is, and I know you know what it is. But just to go and spell it out here and now would undo the suspense I've just built up! So I'll direct you to one of my recent blog posts. If you don't want to read through from go to whoa, take a short cut to the concluding paragraph...naughty, aren't I? To Ross and to Shiao-Ping. My bakery lecturer who is the original source of inspiration for me to be where I am is a very practical-minded man, also highly knowledgeable, and able to think problems through piece by piece. When conducting fault analysis in bread, he constantly reminded us there were only 2 sorts of faults; one is process, the other is raw material selection. So being part of a discussion with Shiao-Ping concerning process, above, is truly fascinating. 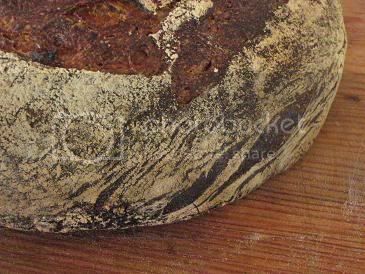 Yet Pain Poilane is arguably the most famous bread in the world, and recognised for being something very special indeed. I have eaten this bread only once. One of the delegates on the Breadmatters course had been in London a couple of days before the course, and had visited the Poilane bakery in Park Lane run by Lionel's daughter. It would be about 3 years ago now; the loaf weighed 2.5kg, and it cost £10. It was a beast of a loaf, and the flavour was all you would expect from the best quality pains de campagne. Even from Lionel's ideal of 3 days, the bread was perhaps a little old. Well I don't mind that, but obviously that is a personal taste, and everyone will have their own preference. So, what really did make that loaf special? I mean, the family have built an empire based on a couple of sweaty back-street Parisian shops where a couple of dirty and hard-working bakers hung out in sandals and shorts making only one type of bread! It's not the most obvious business model to use for guaranteed success, is it? When Lionel moved out to Versailles, his new bakery was a circle of wood-fired ovens, each one tended by one baker only. So each baker had his/her own production schedule which they were entirely responsible for. For many this is the very definition of artisan, and I am sure Shiao-Ping and I have discussed this before: someone with the skill, knowledge and judgement to be able to jump in at any stage of production, and set to work with their hands to keep control of everything all around, whatever those conditions are. Any good? Well, what I am left thinking is that what Lionel was doing, when setting up this method of work, was to teach his bakers to put their heart and soul into all their craft. Ross, to me, you are bang on the money, and thank you for putting it out there like this. So, maybe what makes Pain Poilane really special is that "love" that Lionel instilled into his bread, and the breads made by his bakers? Well, Andy, I am very happy to read about your first hand experience with a Poilane loaf, because, right now, judging from what I have read in his books (via poor on-line translations), I am not convinced. I hope one day to be my own judge. Thank you for your comment once again. I didn't much like it. 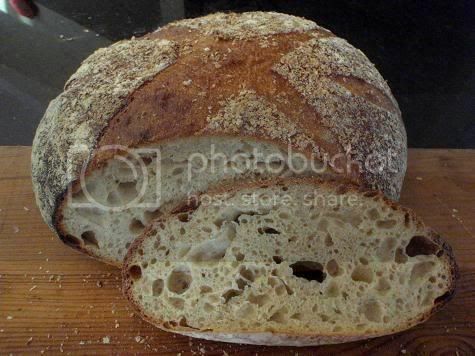 I am not fond of the very sour taste and the crumb was a bit tough for me. But it was quite distinct. I have tasted nothing like it anywhere else. Because all I can do is think about baking right now, I do think about it. A lot. What drew me to bread is the simplicity of its ingredients. The technique is so very much of the taste. And while it is amusing to bake all manner of things (and bakeries Poilane do more breads than just the miches) I am coming to appreciate more and more the Japanese way of doing a limited range of things and doing them perfectly. I consider that when I return home (if I survive - geez - what a weekend! ), I must really knuckle down and think about the kind of flour I am milling and be more thorough about evaluating the impact of my milling practices on taste. 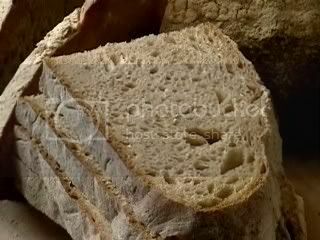 I also consider that I do not wish to produce Pain Poilane - or indeed anything but bread that leverages the taste of grains that are grown - indeed very close to my home. I have lovely memories of breads eaten in various places in the world - France among them - and I have the great good fortune (and frequent flyer miles) to be able to return to those places to experience them again. But this baking business is ephemeral. The product does not and should not last. It is a thing requiring daily renewal. I have become very much devoted to making my own local bread. After all, I think, it was the devotion of bakers to making their local breads as good as possble that gave us these breads that we so seek to imitate. What I consider also is that we humans need to balance the acts of creation and consumption. We appreciate the finely made wine, because we have a similar devotion to making our bread. When these things are not balanced, our very humanity suffers, I think. I consider this a lot as it touches my "real" job as well as my "hobby" job. The "secret ingredient" has always been the human spirit. I am so happy to read what you have to say. Can we please have more? The last couple of days I had been thinking to write about what I have found about Lionel Poilane, the man (was he a businessman or was he a baker? ), his miche, and so on, as had come across to me via the books that I read, using the on-line translators. I decided to keep quiet about it because the worst thing a person can do is to have a biased view and lose perspective. 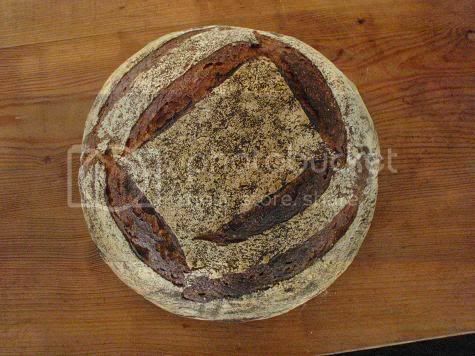 There is no doubt about the contribution to the revival of the traditional hearth breads by Poilane in the mid 90's. The legendary Miche Poilane is to be understood in that historical context. 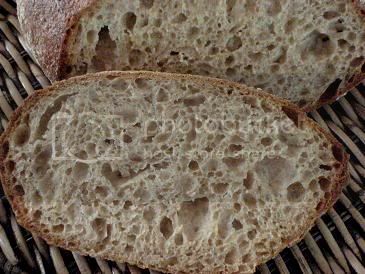 However, many decades have gone by, there is far more dedication to a traditional good old miche today than ever before. I see it in Asia, in America, in Australia, and of course, in Europe (my daugther sent me loads of pictures of bread shops she went to in Belgium). The dedication is not unique any more. What's more, modern artisan bakers are armed with better resources and better understanding of live organism. It is not hard at all to be as good as a "lengendary" Poilane taste. And then there is always the issue of individual tastes. To me, personally, "dense" bread always equate to "tough" bread. I really like my bread supple inside but crusty outside. 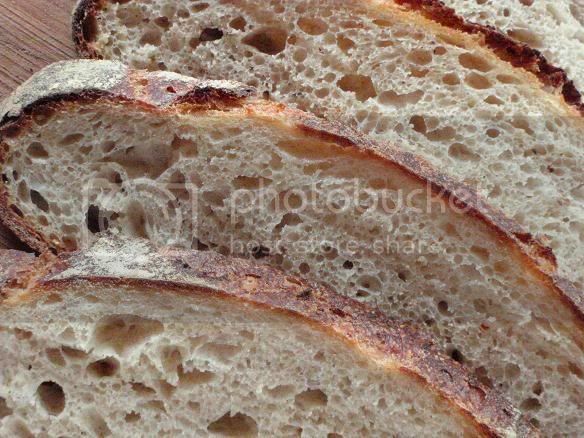 I like the crumb to have a "yielding" texture. To me, "flavour" cannot come at the expense of denseness. Then, on the other hand, I know of people who like dense bread. 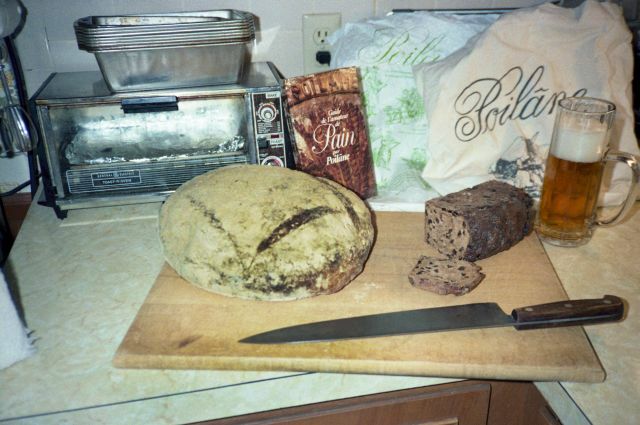 My host family in Boston in my student days liked dense bread; great with soup, they said. For me, toasted supple bread is better (you have two textures in one bite!). I like what you said about human spirit; it ties in to what you said about balancing creation and consumption. (Perhaps you've seen how wasteful I have been?) Food for thought for me. was most assuredly an astute businessman. He was also a baker. His factory bakery was not actually in Versailles, but in Bievres (pretty close but a world away) where I spent some time incarcerated as a business school student. We spoke of him often. It was his father Pierre, of course, who laid the foundation in bread. Lionel made it into the worldwide juggernaut we now know. One barrier that I have always had to opening a bakery (besides my age) is that I cannot write a business plan. Oh, I can write a business plan, but I don't know why anyone would buy bread. After all, it's just flour, water and salt. Lionel Poilane - he didn't have this problem. 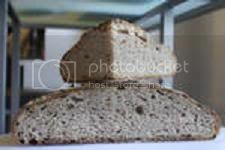 Mr Hamelman feels that there are certain breads that cannot develop taste properly without being of a certain weight. So now we have actual weight (as well as shape) as a variable in our taste equation. I don't know about the "goodness" being equaled. After all, I don't like the famous Poilane miche. But I do know that his bakeries have stayed true to his vision and business plan even after his tragic death. 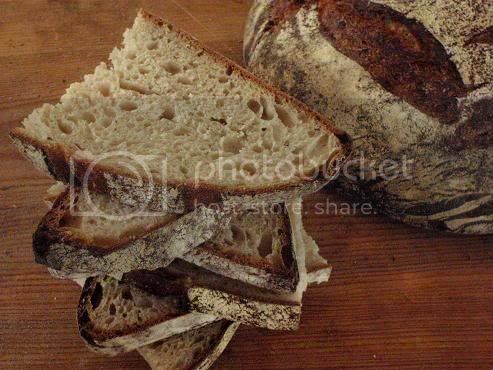 My goodness, we have bread flown in to the midwest of the US from Paris so we can have miche Poilane. No baker is that good. It is the mystique of place and history that compels us to do that, not taste. When you grind your own wheat (someday) you will get a taste of truly fresh bread. As I have been learning over the past weeks, it is the quality of freshness (and of place) that brings so much to our food. One thing gained with age is the knowledge that styles come and go. While I'm not sure the stuff marketed as Wonder Bread was ever a good idea, there was a time when we convinced ourselves that dense bread was the best, or that bread with what I call "hard inclusions" was best, or that even textured, tight crumbed bread was the best, or that very light and fluffy bread was the best. Some folks who bake professionally will tell you that a good deck oven produces just as good of a loaf as a wood fired oven. Other folks are devoted to the process of wood firing and are convinced just using this as fuel has impact on bread. I'm sure that folks who lived in an age where wood fired ovens were the only ovens would be slightly bemused to see those of who can have even heat at the turn of a knob lust after wood fired ovens. I have not seen you as wasteful in any way - I'm not sure what you mean by that. I think that we, especially in the US, became obsessed with consumption. We defined ourselves by what we bought, not what we made. We somehow lost sight of the importance of production and likewise the importance of those who produce. Thanks for the comment again. About him, I would go one step further: He was not just a businessman; he was a charming man, and great in execution. It is one thing to dream up a vision and a business plan; it is entirely a different ball game altogether to execute the plan. You have ten thousands good bakers to one natural businessman. He truly had a vision, and came at the right time and right place in history. His picture with Dali was telling us that his bread was of a different level to ALL the other breads. It was that sense of history that was created, that achieved him the legendary status. Thanks for this most interesting response, Andy. And if I am bang on the money, so are you in your concluding paragraph. Your last sentence, I think I can assume, is rhetorical. Great example of artisan baking - the circle of WFOs, each attended by a different baker solely responsible for the bread that came out. How gloriously indifferent to efficient modern business models! I enjoy that image tremendously, because it's so far removed from larger scale profit-motivated industrial processes of the type that deliver us soulless (and pretty damned tasteless) products like, say, Wonderwhite sandwich bread, to pick out an obvious target. There can be no "love" on a production line, where the 'bakers' are reduced to cogs in a relentlessly grinding wheel! One of the aspects to artisan baking I most like is that the craft and the love of it is intrinsic to the process, which can also be about making a living (and sometimes a very good one...as Poilâne's expanded bakery business exemplifies). Or not. What a great read! I thoroughly enjoyed it! Thank you for gracing us with the link. And wouldn't you say that the writer had got to be a sourdough baker (as well as being a musician)?! Joy, total joy to listen to that rock n roller. I have a new secret ingredient for you. My girl friend who is an abstract oil painter once told me art can be a tool for healing. Put another way, any self expression of creativity in any medium is a wholesome activity and nourishing for the body and soul. The secret ingredient is the artistic drive in us. I believe all artisan bakers, including all TFL users who bake, have an artistic side in them. Who says that baking is part science and part romance? (I'll get to that in my next post.) I would say that what links all that is the artistic drive. 3 stage levain, going to use the 350g for the next miche! Thanks, Jeremy, for the photos. I will endeavor to make another try when I get some T80 flour! Here is my second attempt at this bread, my next one I will make a lower hydration and hopefully have my T80 flour!! Thank you for sharing the photo with us.